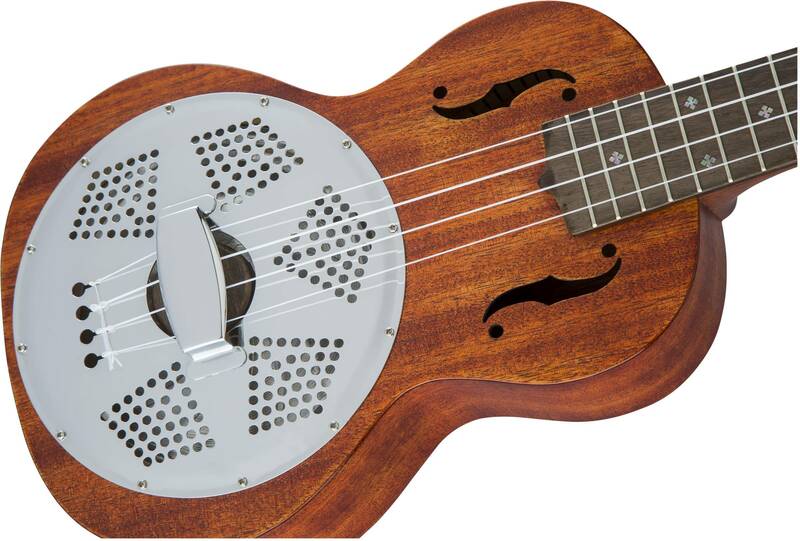 Unparalleled volume from a concert-size uke! 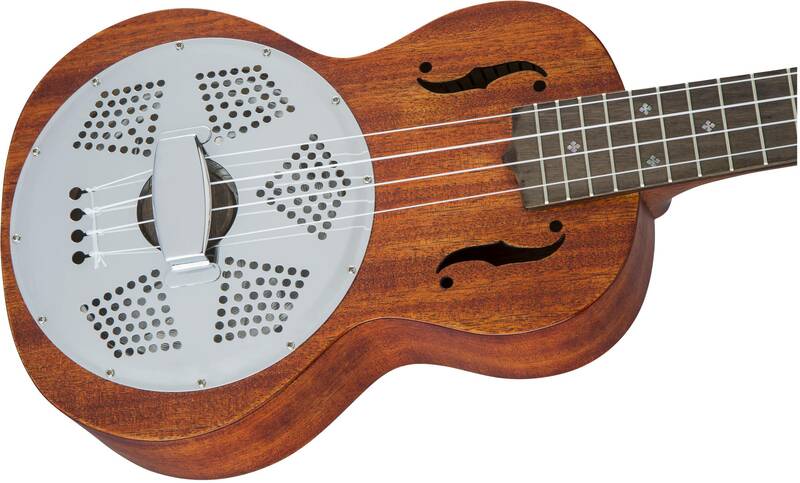 With its powerful 6" "biscuit" resonator cone, Gretsch's remarkable G9112 Resonator-Ukulele makes your playing pleasingly prominent in any acoustic mix. Its premium features include a 15” scale length, an ovangkol biscuit bridge puck with maple saddle, mahogany top, back and sides, one-piece mahogany neck with bone nut, ovangkol fingerboard with 16 frets (12 to body), Grover® 9NB Sta-Tite™ geared tuners, Aquila® Nylgut® strings and deluxe fitted gig bag. 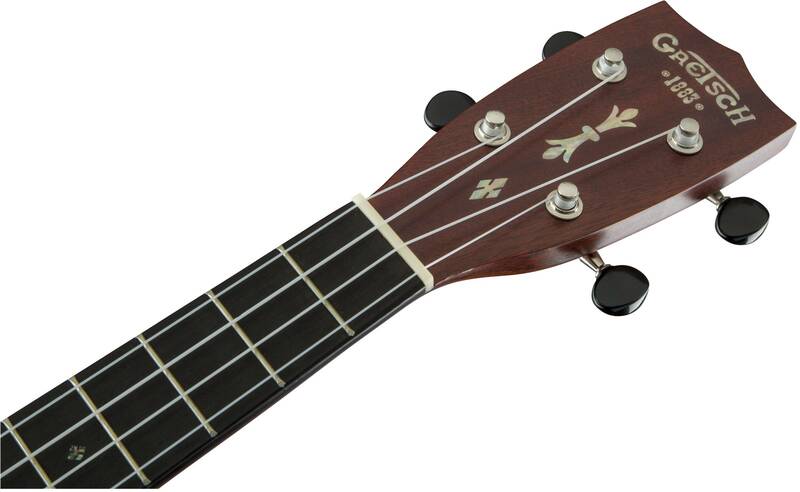 The instrument strikes an organic vibe with an "open pore" semi-gloss Honey Mahogany Stain finish.